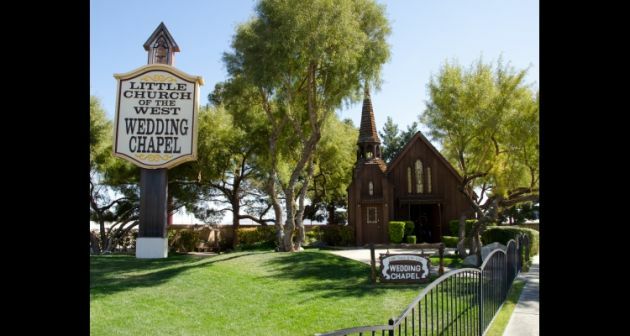 Religious institutions like churches hosted only 22 percent of weddings in 2017, according to The Knot, a major wedding planning website that is cited by LifeWay's Facts & Trends. That's plummeted by almost half from 2009, when 41 percent of weddings were at religious institutions. In 2017, 15 percent of weddings were at barns, farms, or ranches. Fourteen percent were at historic homes. Seventeen percent were at a banquet hall. Hotels (12 percent) and country clubs (12 percent) were also popular. "Additional popular nontraditional reception sites include beach houses, wineries, rooftops, museums, and parks," says The Knot. In September 2017, Pew Research Center found that half of U.S. adults today are married, a share that has remained relatively stable in recent years but is down 9 percentage points over the past quarter century and dramatically different from the peak of 72% in 1960, according to newly released census data. But delayed marriage may not explain all of the drop-off said Pew. The share of Americans who have never married has been rising steadily in recent decades. At the same time, more adults are living with a partner instead of marrying and raising children outside of marriage. And when it comes to marrying, pastors now have competition when it comes to officiating at weddings. Forty-three percent of couples had a friend or family member officiate at their wedding in 2016, according to a previous study by The Knot. That's up from 29 percent in 2009. It's also led to some headaches for couples. States like Tennessee, for example, have strict rules about who can perform a wedding. According to the Commercial Appeal, Tennessee law states that "in order to solemnize the rite of marriage any such minister, preacher, pastor, priest, rabbi or other spiritual leader must be ordained or otherwise designated in conformity with the customs of a church, temple or other religious group or organization; and such customs must provide for such ordination or designation by a considered, deliberate, and responsible act." Some couples have found out the hard way that they aren't really married, reported the Commercial Appeal. Even though fewer weddings have pastors or take place in a church, religion plays a big role in marriage for many Americans. Presbyterians (64 percent), Lutherans (62 percent), Anglicans (61 percent), Methodists (61 percent), Southern Baptists (60 percent), and members of other Christian groups are more likely to be married than those who claim no religious affiliation (38 percent), atheists (36 percent), or agnostics (35 percent). About half (48 percent) of the American population is married, according to Pew Research. Seven percent of Americans live with someone. Thirteen percent are divorced or separated, and a quarter have never been married. Evangelical Christians are significantly more likely to be married than Americans who aren't religious—but they're a long way from first place. That distinction belongs to Mormons, according to a new Pew Research analysis of data from its 2014 Religious Landscape Study. Two-thirds (66 percent) of Mormon adults are married.